On January 13th, 2012 MDAA was honored to host the second annual “Missile Defender of the Year Award Ceremony” in Alexandria, Virginia. The Missile Defender of the Year is awarded to the best U.S. missile defense Solider, Sailor, and National Guardsman for the year. These three select individuals represent the best in leadership and personal effort, demonstrating their commitment to excellence and their critical role in missile defense. They are an inspiration to their subordinates, peers, and superiors. Captain Will Andrews, Fire Controlman Second Class Petty Officer Mathieu McIntosh, and Staff Sergeant Craig Davis are three men that lead by true excellence, which is contagious to their units, teams, and commands. A team leader that is so endeared by his actions and deeds that the United States three-star Army General overseeing Afghanistan looks to him for his work with the local Afghan people and the NATO and Jordanian soldiers he oversees; for what he has achieved in how to give security and leave security with the Afghans. A native of Nampa, Idaho, Captain Will Andrews is currently attending the Maneuver Captain’s Career Course in Fort Benning, Georgia. He graduated from American Military University and was commissioned in Air Defense Artillery in 2008. Captain Andrews recently returned from a year-long deployment in support of Operation Enduring Freedom. Captain Andrews served as a Site Commander, leading a Joint Police Training and Advisory Task Force in Eastern Afghanistan. Captain Andrews’ team was recognized by Senior U.S. and NATO Commanders for developing their Afghan Police counterparts to become the first Afghan-led Training Center in the region. Captain Andrews’ awards include the Bronze Star, Army Commendation Medal with two Oak Leaf Clusters), Joint Service Achievement Medal, Army Achievement Medal (with four Oak Leaf Clusters), Army Good Conduct Medal, Afghan Campaign Medal, Iraq Campaign Medal, Global War on Terror Medal, NCO Professional Development Ribbon, NATO Medal, Combat Action Badge, Parachutist Badge, Air Assault Badge, Pathfinder Badge and the German Armed Forces Proficiency Badge. A team leader so endeared to his ship that the Captain relied on his expertise and leadership on the key component, as there was no room for failure on a complete, pure Aegis BMD mission to 27 ports that has now set the standards and operations procedures; a mission that took them into the Black Sea with the Turkish Navy that ported in the Ukraine, Romania, and Israel (among others); a mission that sold missile defense to our European Allies. 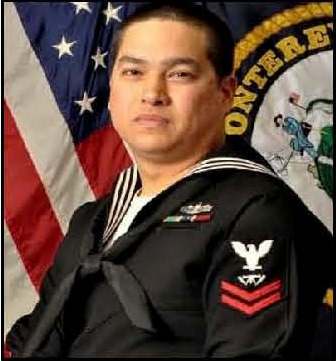 A native of Seoul, South Korea, Fire Controlman Second Class Petty Officer Mathieu D. McIntosh joined the Navy in 2005 and entered the Advanced Computer and Electronics Field. After completing entry training, he attended Fire Control ‘A’ School and Spy-1B ‘C’ School, where he was an honor graduate in both courses. From there he was assigned to the USS Monterey (CG61) in Norfolk, Va. In the spring of 2007 Petty Officer McIntosh made Second Class his first time taking the test and quickly became the Senior SPY-1B technician and Work Center supervisor. After finishing his second deployment on the Monterey in 2009, the ship underwent a Ballistic Missile Defense install. With this upgrade, Petty Officer McIntosh extended his tour for two years. During exercise Atlantic Trident 2011 the USS Monterey was the first ship to track a fired ballistic missile off the east coast and it was the first ship to deploy for Ballistic Missile Defense of Europe. McIntosh now leads CF01 as MONTEREY executes Phase one of the President’s Phased Adaptive Approach for European Missile Defense. An Army Drill Sergeant’s son who has worked his way through Iraq and Afghanistan, patrolled sub 50-degree temperatures on our missile site in Alaska, and is now one of, if not the best fire control officer presiding over 26 Ground Based Interceptors protecting the United States Homeland 24/7, 365 days of the year. A native of Sullivan, Illinois, SSG Craig Davis has truly distinguished himself as a critical contributor to the defense of the Homeland from ballistic missile attack. SSG Davis began as a Military Policeman serving at Fort Greely, AK in Alpha Company, 49th Missile Defense Battalion securing critical assets. 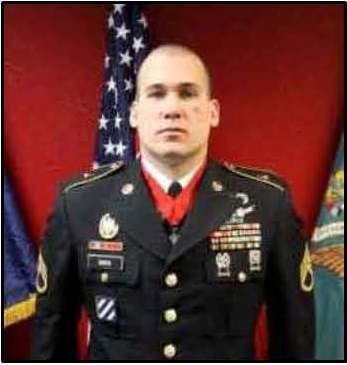 SSG Davis served as both a team and squad leader within Alpha Company and significantly contributed to both the successful execution of the site defense mission and the professional development of soldiers assigned to him. SSG Davis attended and graduated from the GMD Operator course in 2008 and began a transition from Military Police to becoming an Air and Missile Defender. 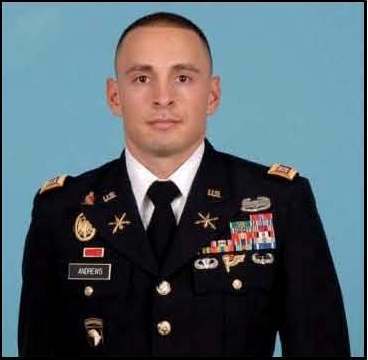 SSG Davis was assigned as a Fire Direction Center as a Weapons Operator. He is responsible for training numerous crewmembers in preparation for demanding individual and crew evaluations. SSG Davis and his crew have maintained an average evaluation score of 98%, on both written and practical certification evaluations. His dedication and expertise was recognized when he was made the Non-Commissioned Officer in Charge (NCOIC) of the Fire Direction Center. 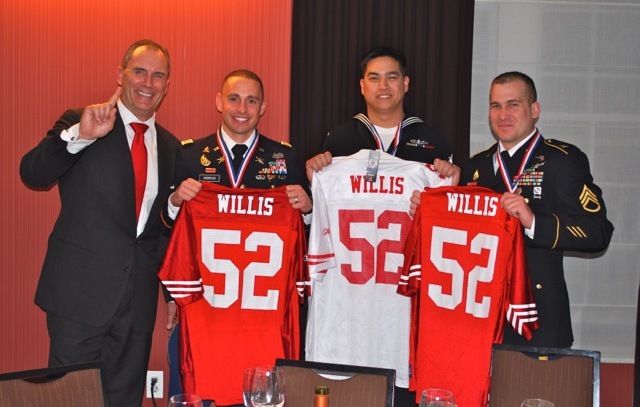 These three outstanding young men represent their unit or ship as extensions of all those that they work with and the missile defense systems they operate. They represent the best of the military’s current and future missile defense capability to make our nation and world safer.